20 Responses to Netanyahu: The Bibi Who Cried Wolf? Thank you. This article and your links have greatly helped my own research on the subject. Thanks, trublu54…I’m happy to hear it was appreciated and useful in your own work, and I look forward to seeing your take on this and other topics. I have to thank you now for showing me a good example of how to answer hostile comments. Dr. Paul has taught me a great deal about putting aside pettiness and ignoring insults, but I’m still learning. It was good to see you respond to the51percent with respect and intelligence. Keep up the good work! People are watching. That “thick fog” that operates over the American Public… Are you talking about the idiots that belong to the Socialist Democrats? Also, who spreads this information? MSM lapdogs and liberal communists like yourself that want to distort the facts? Israel has had nuclear strike capability for decades now so my question is: When has Israel ever stated that they wanted to destroy any State? Not just Arab… but any State for that matter? Israel is defending their borders and recognizes a potential threat when they see one. Thanks for sharing your thoughts. If you think the U.S. sets a good example in international politics, then you should encourage Israel to follow that example and admit it has a nuclear weapons program (it never has). Israel demands transparency from its neighbors but doesn’t provide that transparency itself. I was surprised you would associate my position with communism, liberalism or socialism, which seem to have little to do with the topic at hand. If you look around LibertyMcG.com, you’ll see I’ve opposed the income tax, government education spending, Obamacare, stimulus programs, Keynesian economics and forced-unionization laws. I can’t imagine a set of stances that are farther from communism, liberalism or socialism. I believe the confusion lies in your interpretation of conservatism as it relates to foreign policy. For much of the 20th century, it was the liberals who championed an active, interventionist foreign policy bent on remaking the globe in America’s image (think FDR, Kennedy, Johnson). Similar thinking among “neo-conservatives” is a relatively recent (and disastrous) development. Military adventurism is not a traditional conservative ideal, and I don’t know how else to characterize our $800 billion fiasco in Iraq and whatever the neo-conservatives are drawing up for Iran. 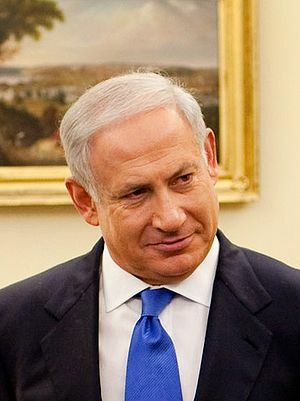 Answer my question, does Israel call for the destruction of Iran or any state for that matter? It is yes or no? Yes or no seems to be a problem with many people nowadays. Again, what nation state has Israel ever wanted destroyed? You speak in myths and give me nothing but rhetoric in regards to this post. Perhaps you should make sure that your posts reflect the rest of your posts? I would. Your question appeared rhetorical. No, I’m not aware of them doing so. Israeli is, however, threatening a so-called “pre-emptive” (unprovoked) war on Iran (which, unlike Israel, has signed the nuclear Non-Proliferation Treaty) and is said by U.S. officials to have partnered with the terrorist MEK organization to assassinate Iranian civilians. Iran hasn’t invaded another country for centuries and, despite misinformation, hasn’t threatened to physically destroy Israel. But that’s certainly not to say they’re the “good guys.” As articulated in my post, however, the question is whether war is justified. My stance on Iran is consistent with the rest of my posts in its respect for the governing policies recommended by our founders—both foreign and domestic. Hey, 51%, you forgot to call Liberty McG an anti-Semite and to deploy Reductio ad Hitlerum! I also note that you failed to refute a single fact that Liberty McG asserted in his post. Instead you set up a classic straw man by demanding to know whether Israel has ever “stated that they wanted to destroy any State.” Sorry, 51, you’re the apparent Lefty here, liberally employing tactics used by Lefties the world over, setting up straw men and engaging in ad hominem attacks (“grow up”) because you’re unable to win the argument through rational discourse. I asked if Israel ever threatened the detruction of another Nation State? It was yes or know and I got my answer. I know yes and no questions can be tough for those that have no conviction… hence, I’ll ask you the same question: Has Israel ever stated that it wants to destroy another nation state? I thought your question was rhetorical or something. The answer is yes. Israel, right here and now, is wanting to destroy Iran, LibMc’s article gave you quotes from Bibi on his desire to destroy Iraq. Just because they conscript the big dumb US to do their bidding doesn’t make their threats any less disgusting. They also go on regular scheduled bombing raids of Lebanon and Palestine with cluster bombs, white phosphorus weapons, and conventional arms to destroy any competing businesses and moral, and to get out some of that pent-up anger. But it seems their main export is flourishing – pity. You are all stocked up. Syrian and Egypt too! There’s so many I can’t keep ’em all straight. Israel also continues to deny justice and liberty to millions of Palestinians who either live under seige or occupation. I’m 28 years old. I’m expert in my job. I marriage 3 mounts before. It’s the time that I should be happy and make my own feature. Our economy crushed because of us sanctions. Living in Iran have become harder and harder. You all are living in free world but the roulette wheel of chance force me to being middle of this funny struggle between some stupid governments of Iran , Us and Israel. We are the nation that don’t attack any country in past 200 years. We have the great history of about 2500 years. Please Help us. i’m not guilty about nuclear and terrorists. my opinion is like you. I want to live in peace . Saeed, I am very sorry that you and your fellow Iranian citizens are suffering under economic sanctions, and appreciate you sharing your personal perspective. While we are a minority, there are many here who are trying to educate our fellow citizens and elected leaders so we might guide our country toward a more just and effective foreign policy. I wrote this blog entry in hope that it would enlighten others about what’s happening between the U.S., Israel and Iran and in the hope that they will share it with others. I am so very sorry for what the Western Gov’ts are doing to you. I feel so helpless. I also wrote an article which I sent out to all I know. There are many here in the US that are sad and disgusted with what our government does in our name. We are as helpless as you in changing them. We are not the ‘democracy’ they try to convince us of. Our government is just good at lying so most believe we, as individuals, can make a difference. I will continue researching your plight and try to bring awareness whenever possible. I want us all to live in peace too. Saeed. I am so sorry. I love America but our government has been hijacked by international bankers. There are only a couple million of us Americans who understand this. What can we do to help you? I would like to write back and forth with you. Please email me at Prez22@aol.com. LibertyMCG, I would love to hear your views on the syrian conflict, especially if it is as clear and concise as your previous posts. my views are that the whole thing seems so scripted, almost like Libya part two..
(evil dictator murdering innocent protesters, mass atrocities… then out of the blue those peaceful protesters turning into a full fledged army with their own flag, car bombs, mixed nationalities, and a full blown civil war.) Can we predict the next step? (no fly zone, nato/US bombing, islamist siege of damascus, and puppet government installation). government sources immediately. Also very selective, no mention of Turkeys role, in harboring and supplying etc. The worst part of all, is that I have a feeling that we are more involved than just providing money and humanitarian aide.. just watching the presidential candidates speak about it is chilling. Romney already eager to give heavy weapons, and Obama doesn’t seem to have learned his lesson with what happend in Libya. In all I have no simpathy for Bashar al-assad but simply asking questions about this whole ordeal has led me to find my own information and questions. Contradictions everywhere, (our great allys are saudi arabia, yet we oppose a moderate country). and many inconsistencies as well.